The fate of babies in the developing world touches everyone’s heart. Infants are fragile and innocent. Their needs are great and their reliance on others is high. When we hear about serious poverty devastating a community or learn of a natural disaster, our first thoughts fly to the needs of infants and the heartbroken parents struggling to care for them. Christian leaders in Guatemala have the same reaction. Christian doctors working there do as well. Both are eager to address the terrible suffering they encounter, but without help, their tireless efforts can only take them so far. You can help local church leaders and medical professionals save lives and restore the joys of childhood. 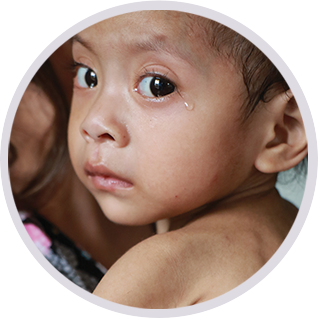 In Christ’s name and for His glory, help us rescue these at-risk infants and restore their health. Proceeds from this campaign will be used to cover any expenditures for this project incurred through June 30, 2019, the close of our ministry’s new fiscal year. In the event that more funds are raised than needed to fully fund the project, the excess funds, if any, will be used to meet the most urgent needs of the ministry.